Franklin Police have arrested a serial burglar that has been menacing residents along Franklin’s Lewisburg Pike corridor since mid-January. 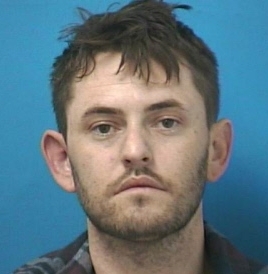 The huge break in a string of burglaries came yesterday after detectives uncovered scientific evidence linking 32-year-old Scott Marks to an overnight burglary at the Fleming Center on the historic Carnton Plantation property. Officers who had him under surveillance moved in to arrest Marks as he was getting into a cab outside of the Yarmouth Court home he was staying at. Detectives executed a search warrant at the home and recovered a civil war gun and sword, along with other items taken during Marks’ most recent burglary. Stolen property from several other burglaries was also recovered from that home. Marks, a convicted felon with a violent history, is being held on a $125,000 bond. Marks is currently charged with Burglary, Aggravated Burglary, and Violation of Probation. Additional charges are expected. Marks is due in court 02/15/2018 at 1:00 pm.